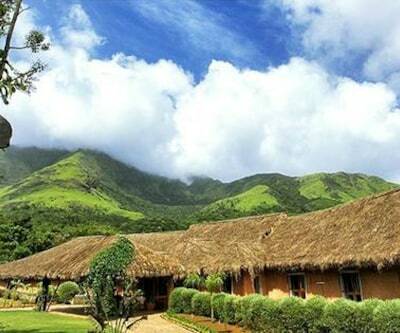 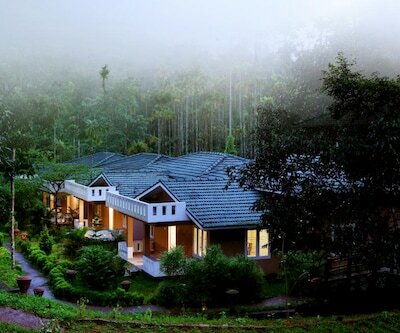 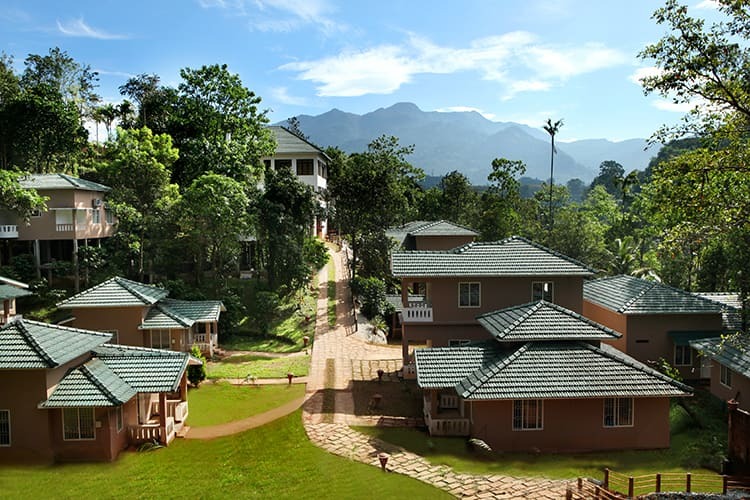 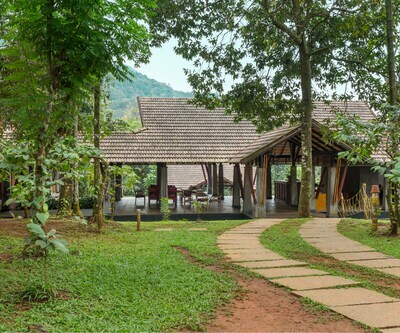 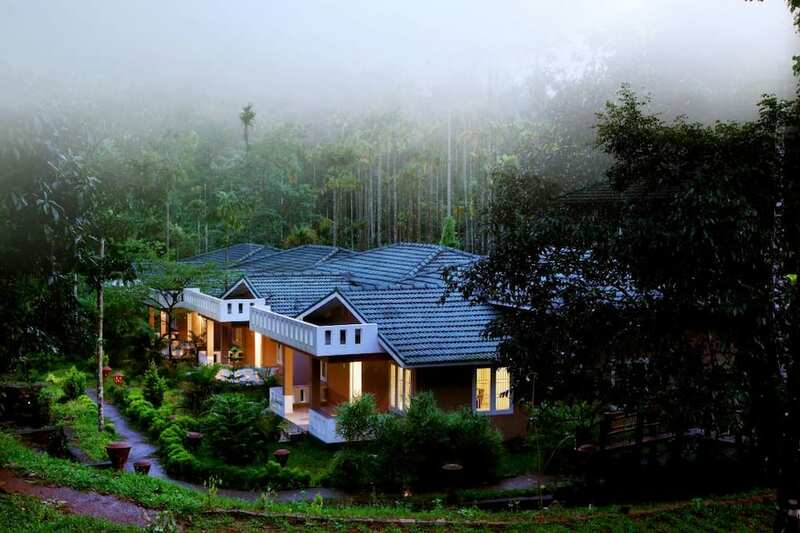 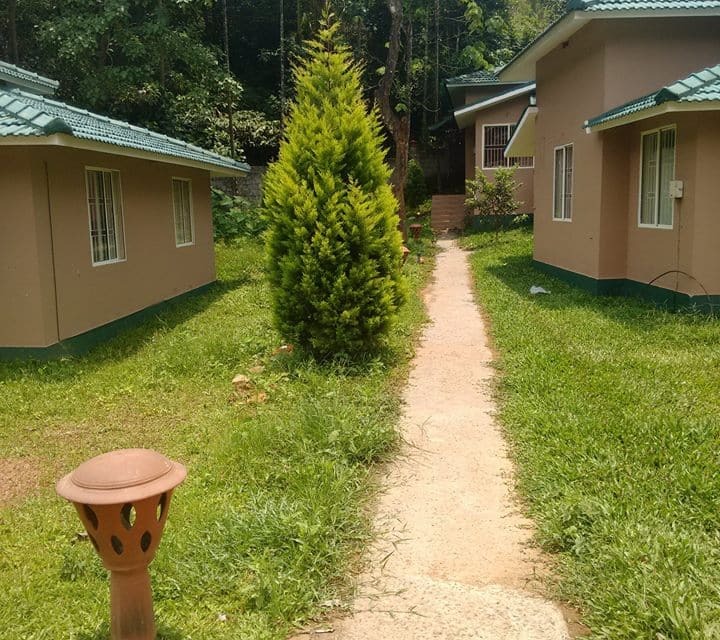 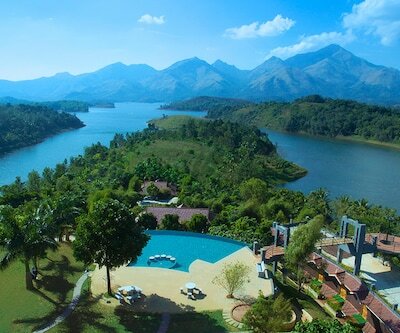 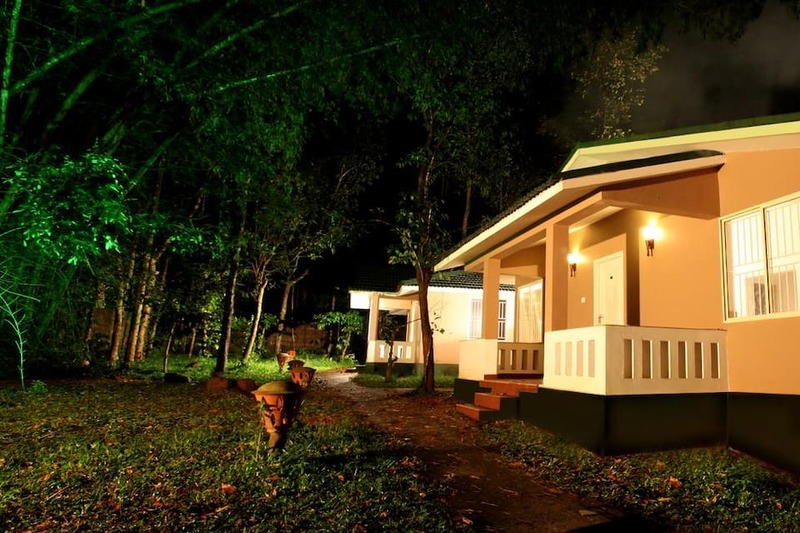 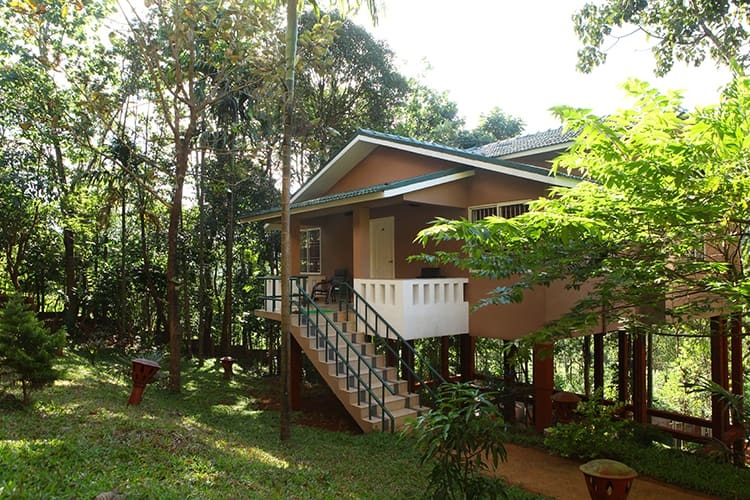 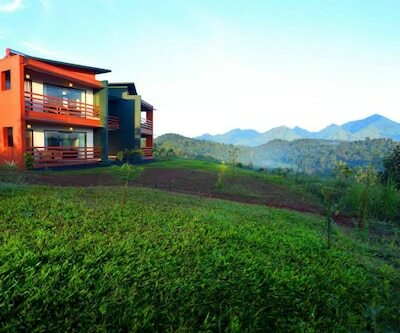 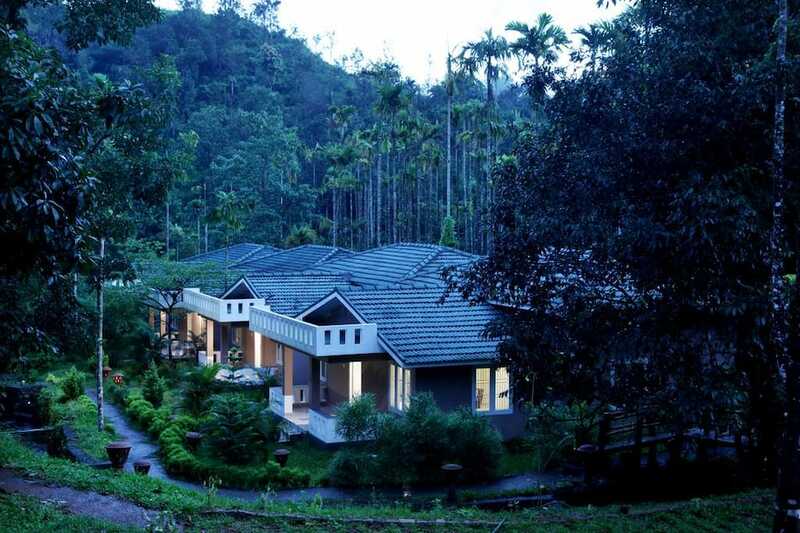 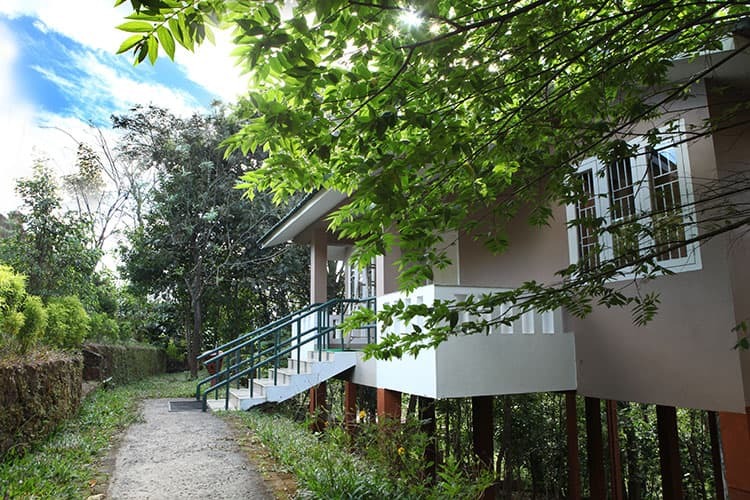 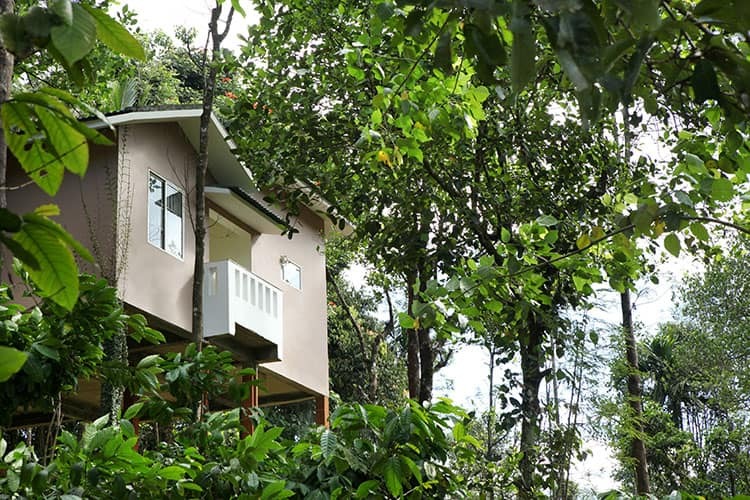 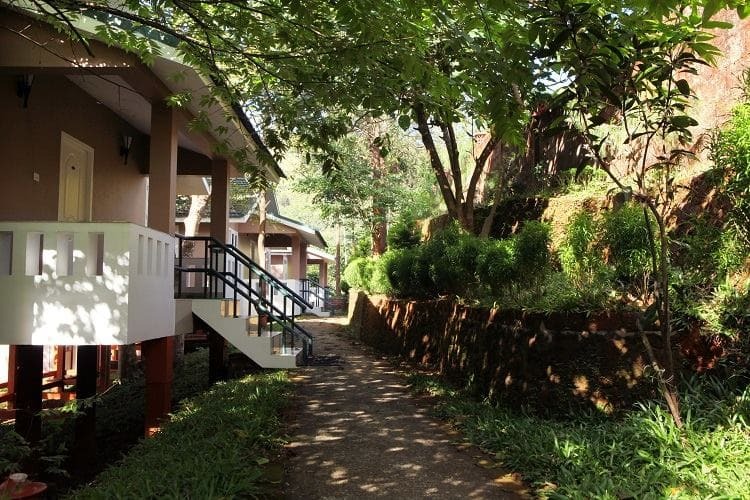 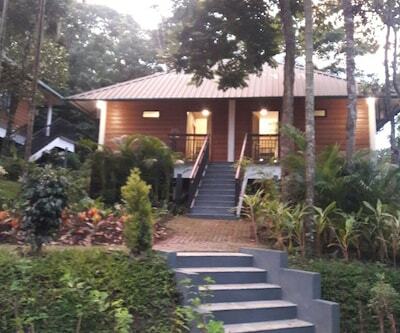 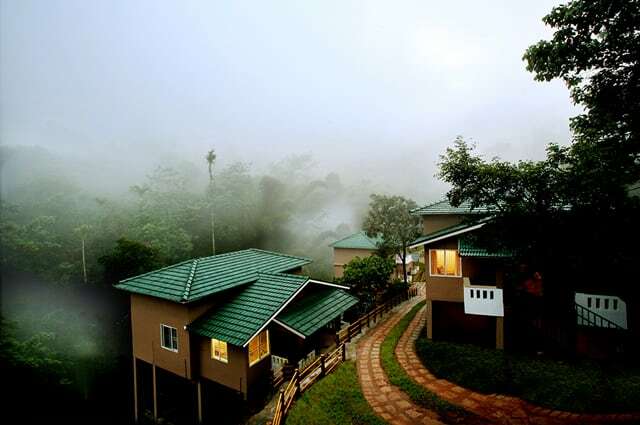 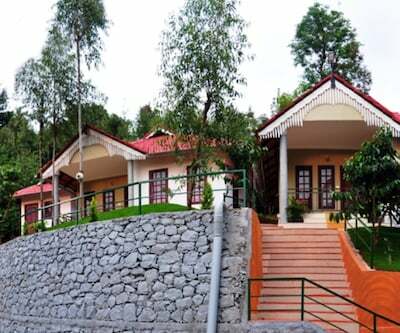 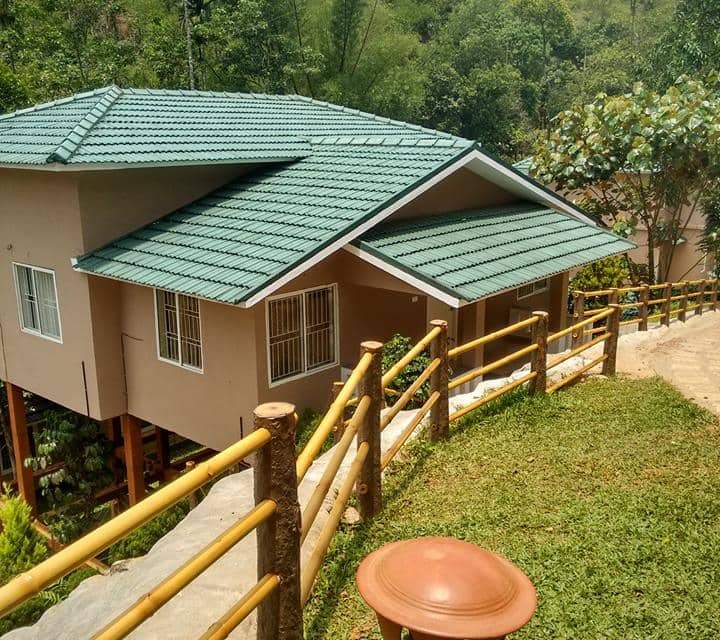 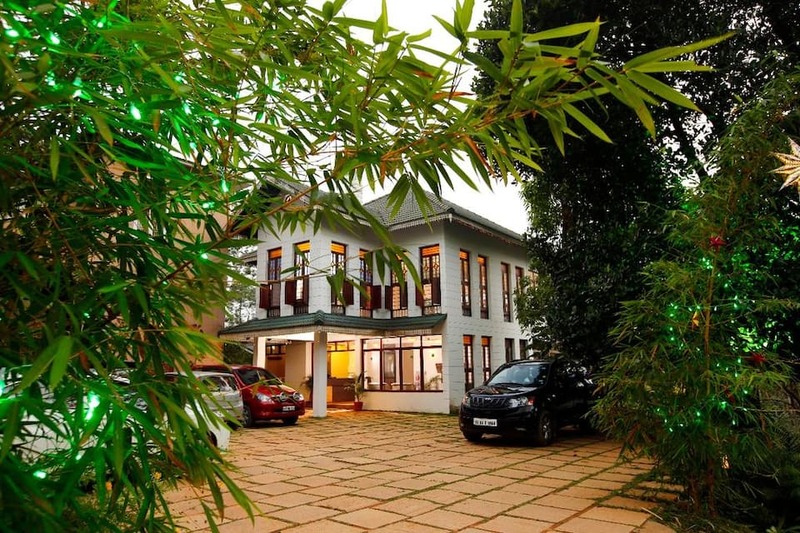 Located at a distance of 1 km from NH 212, Lakkidi resort extends a luxurious stay in Wayanad, Kerala. 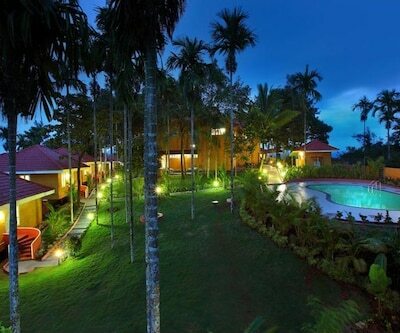 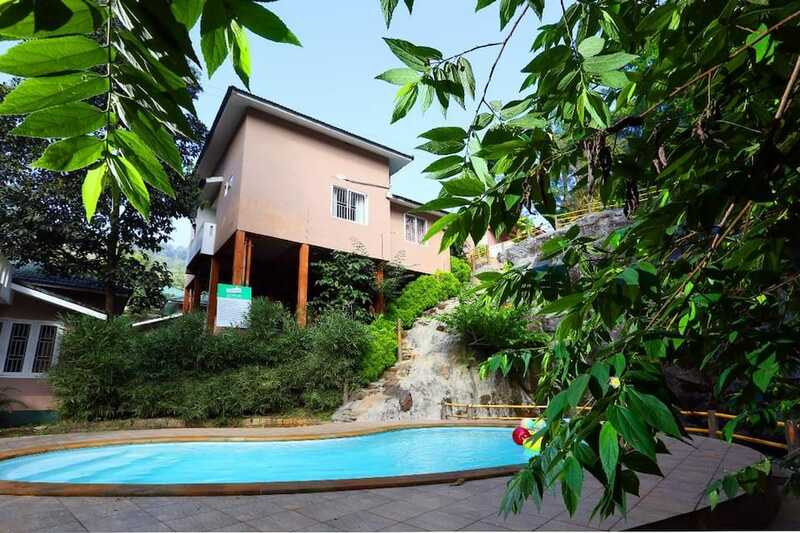 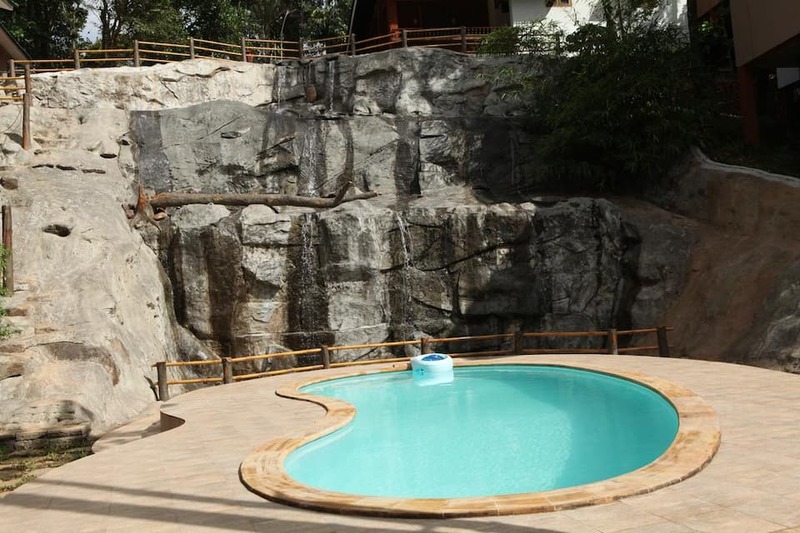 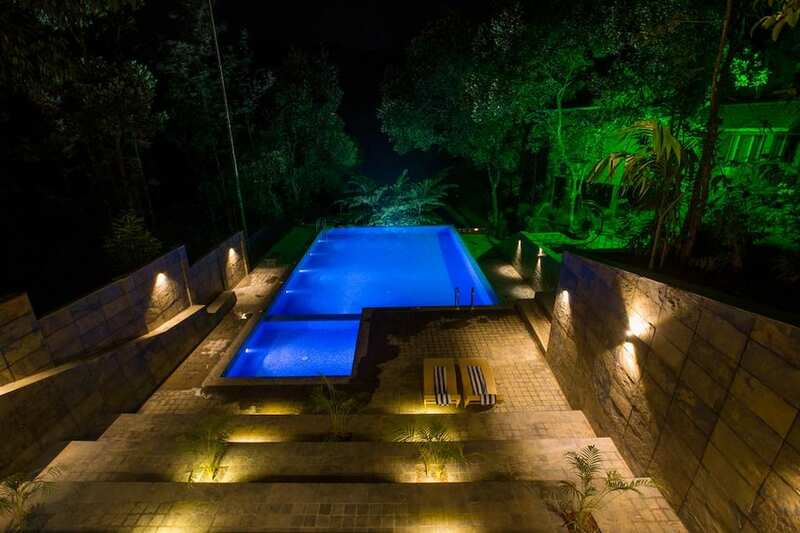 The main attraction of this resort is its fine location amid virgin forests and a valley that surround it. 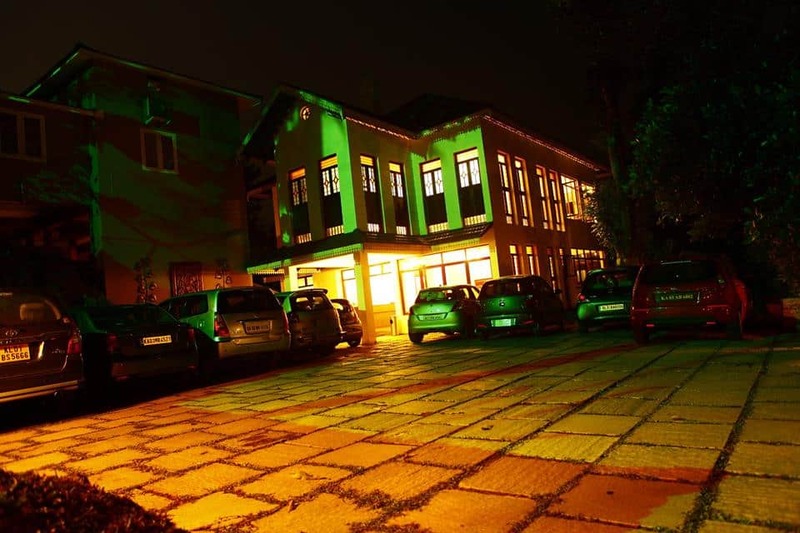 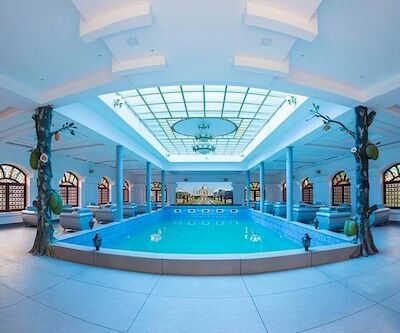 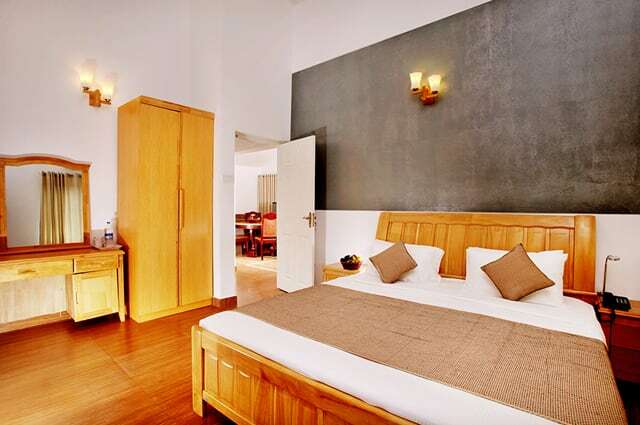 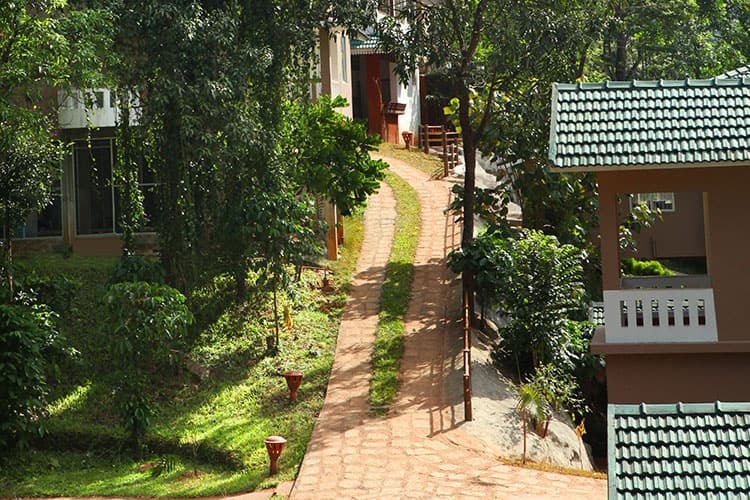 The resort has an inviting swimming pool, Ayurvedic massage services, and a health club. 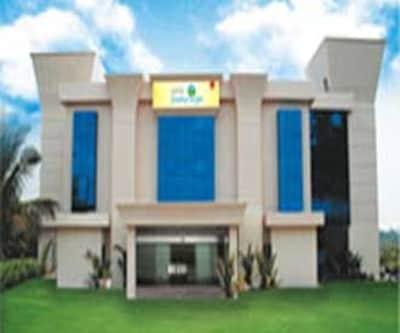 There is a business centre with banquet facilities. 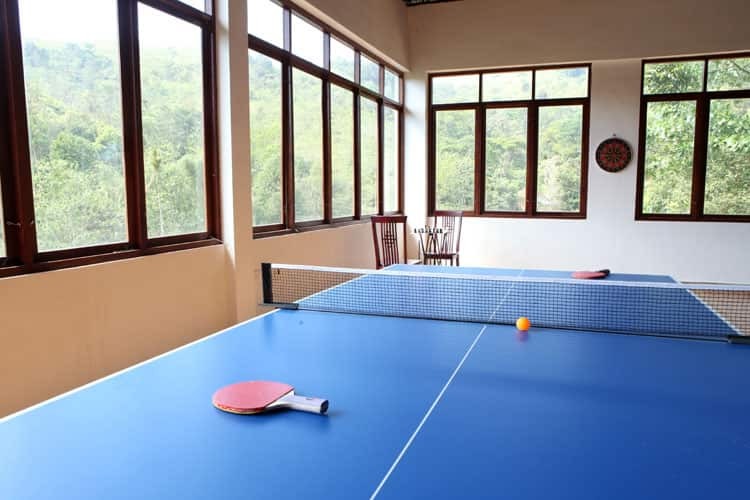 There is a game room for enjoyment purposes and a picnic area with artificial waterfall and streams, for having a relaxing time. 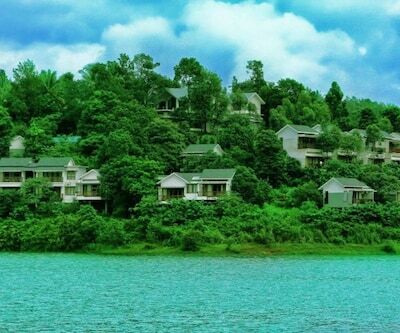 Guests can opt for a host of outdoor activities like trekking, hiking, nature walks, boating etc. 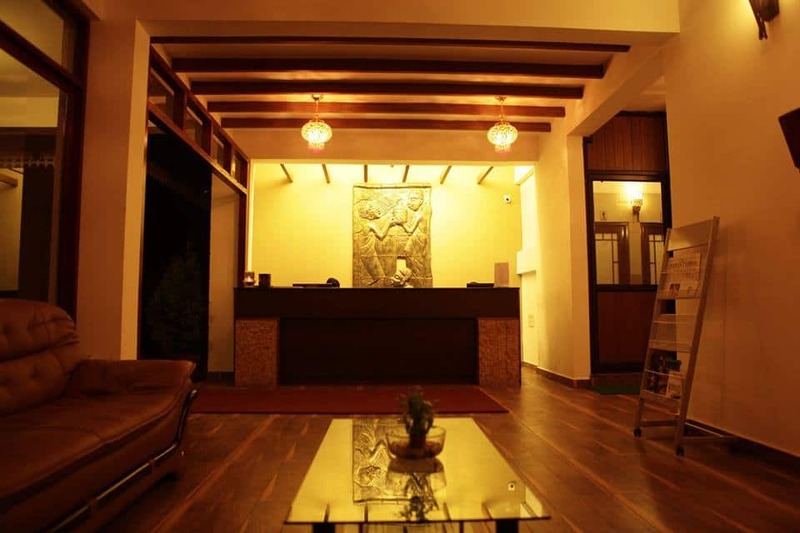 Free internet is available at the lobby area. 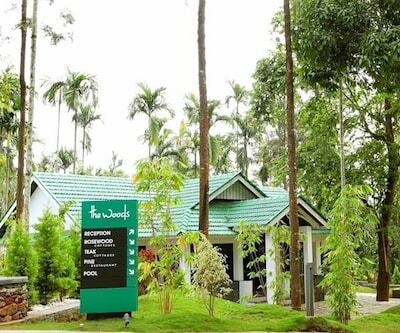 free A 24-hour front desk and parking facility is available for the guests. 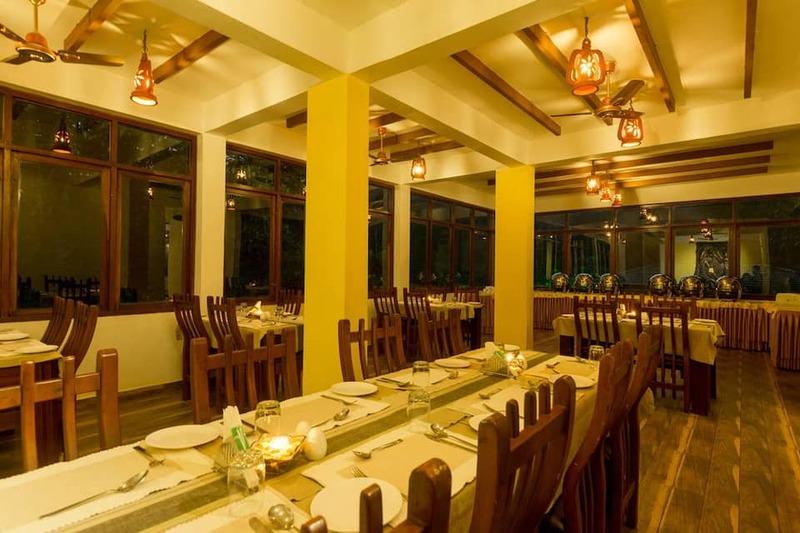 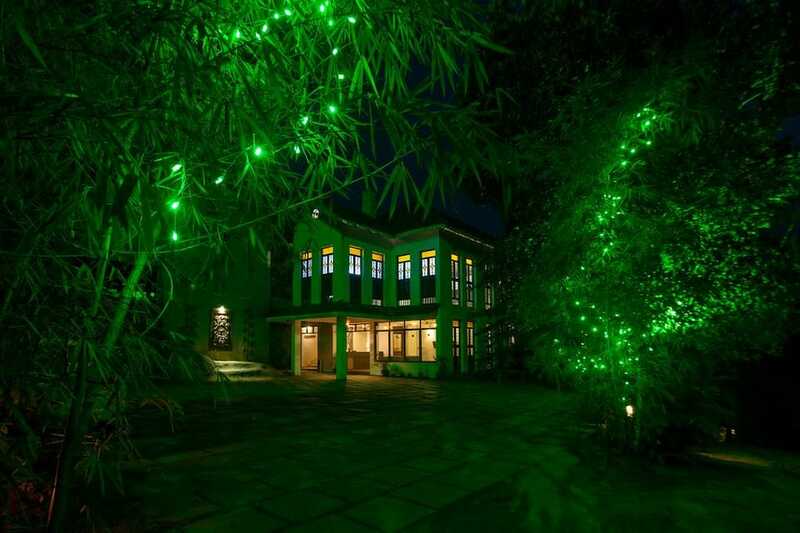 The restaurant at the property serves amazing Kerala, North Indian, Chinese and Continental cuisine for its guests. 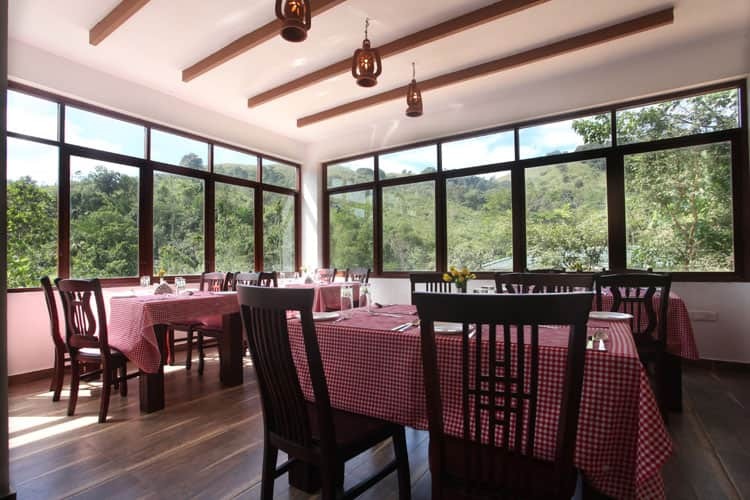 The d?cor is very inviting with a great nature view through glass walls. 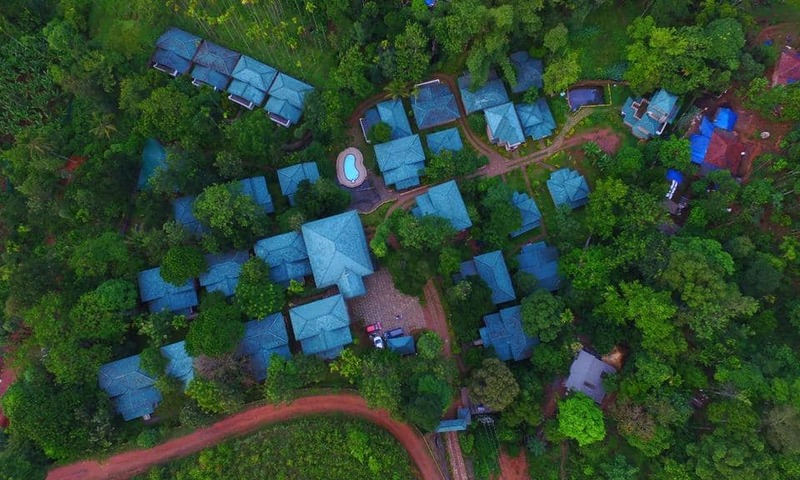 The resort boasts 30 individual cottages that have spacious king size bedrooms categorised as deluxe, executive and royal cottages. 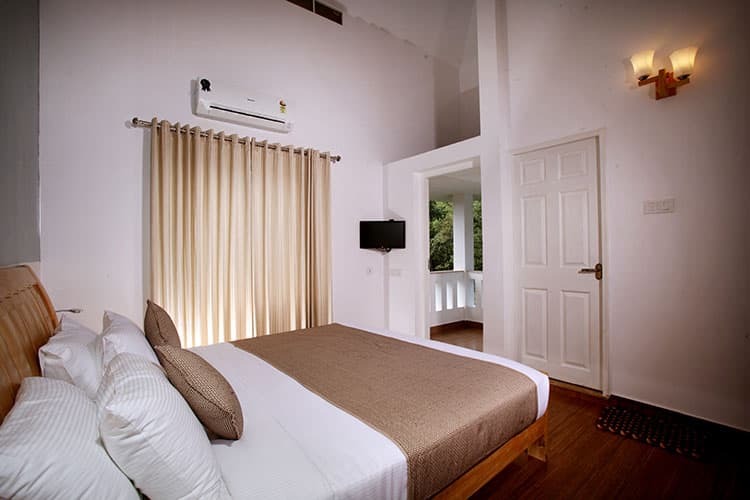 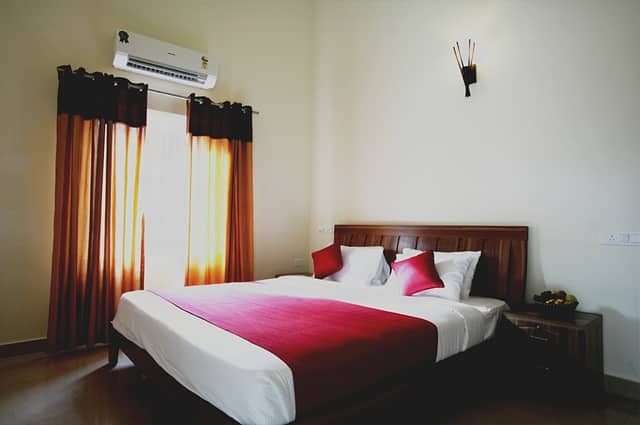 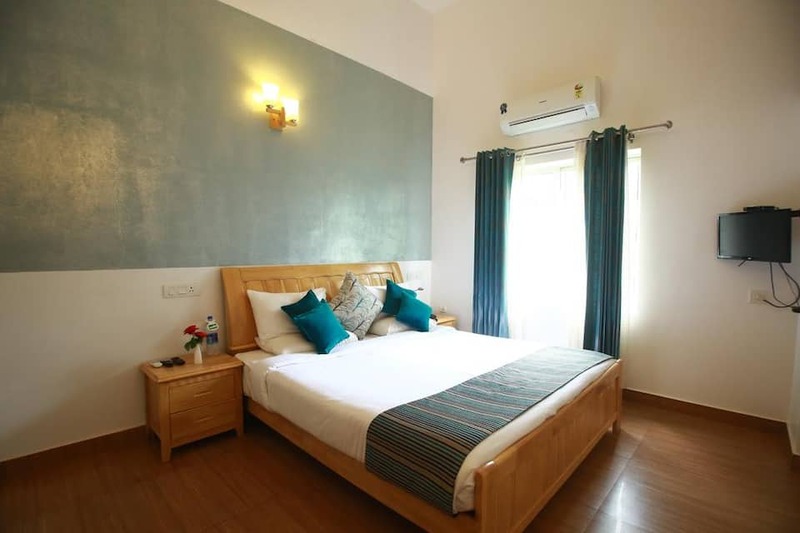 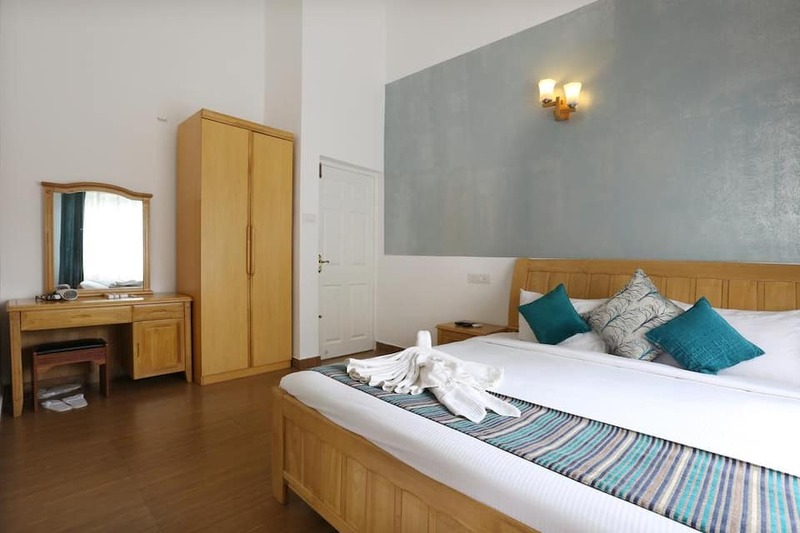 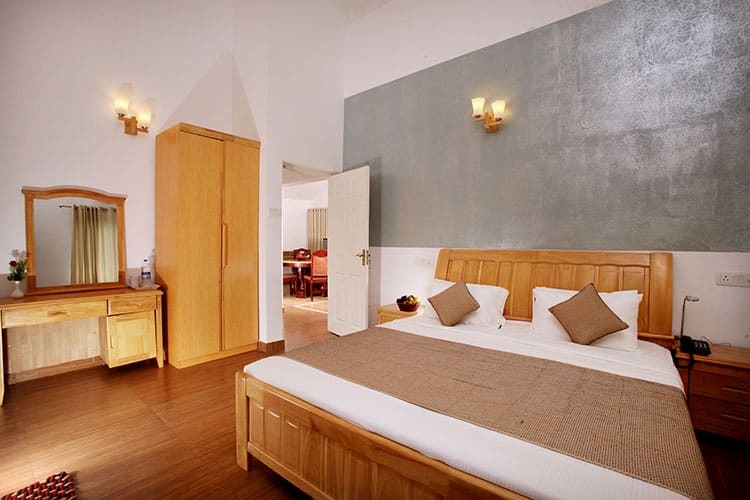 The rooms are equipped with amenities such as a living area, comfortable sitting space and an operational kitchen. 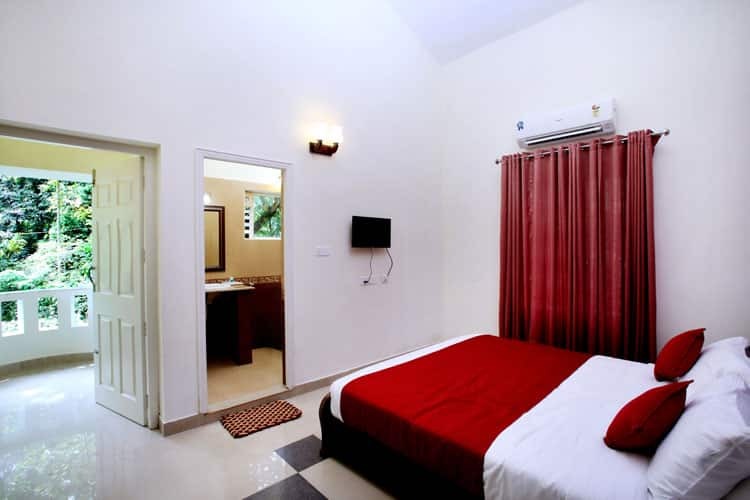 Other than that one can find refrigerator, telephone and a flat screen television in the rooms. 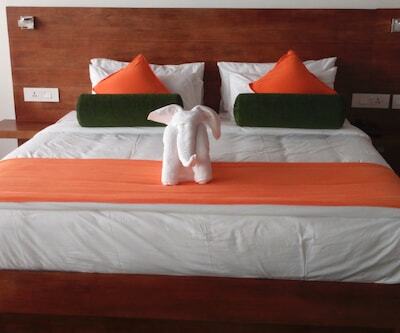 Room service is available and the staff is cooperative. 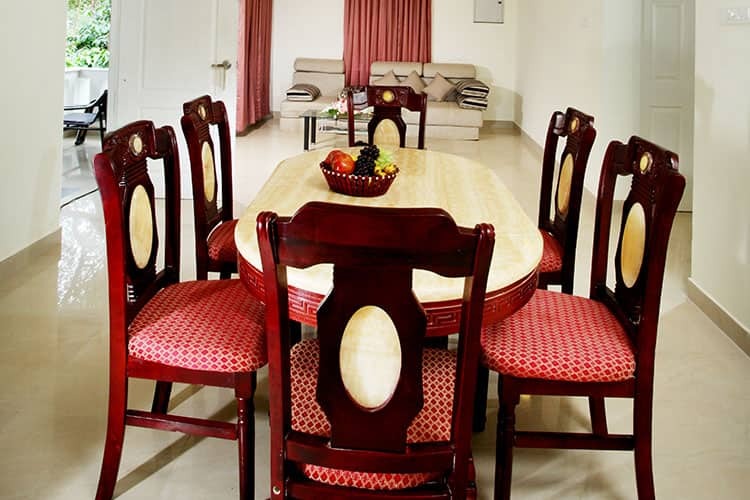 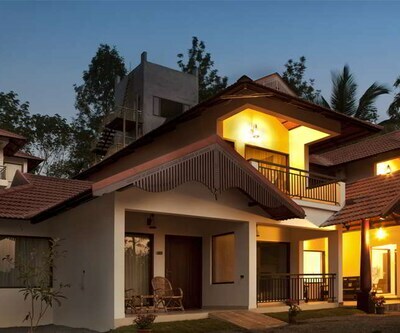 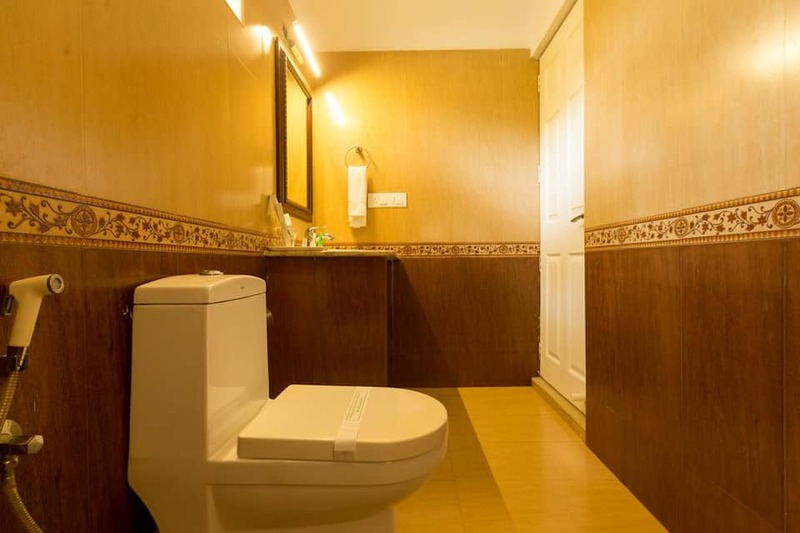 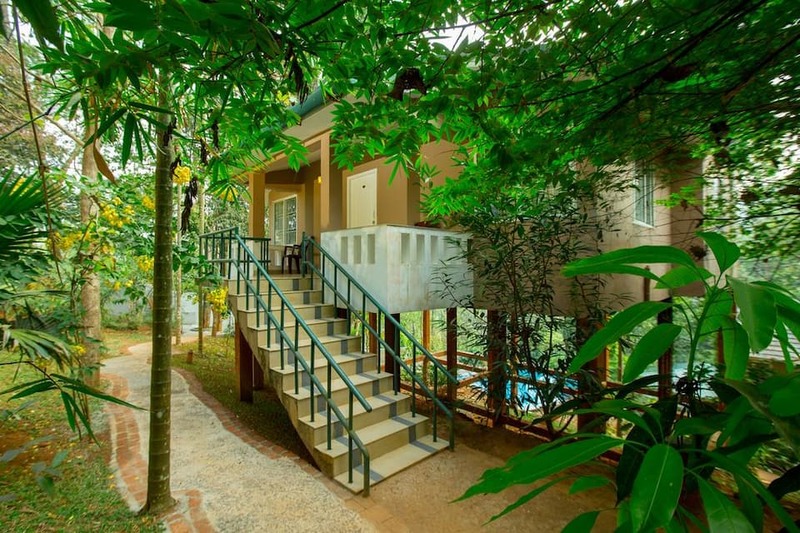 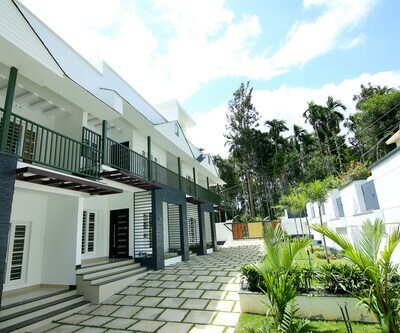 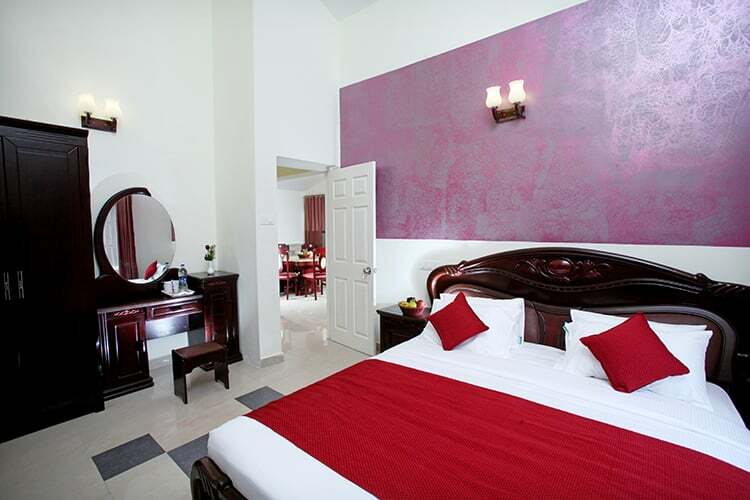 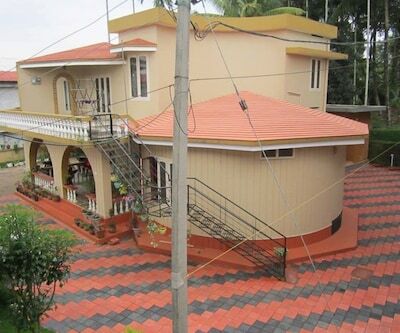 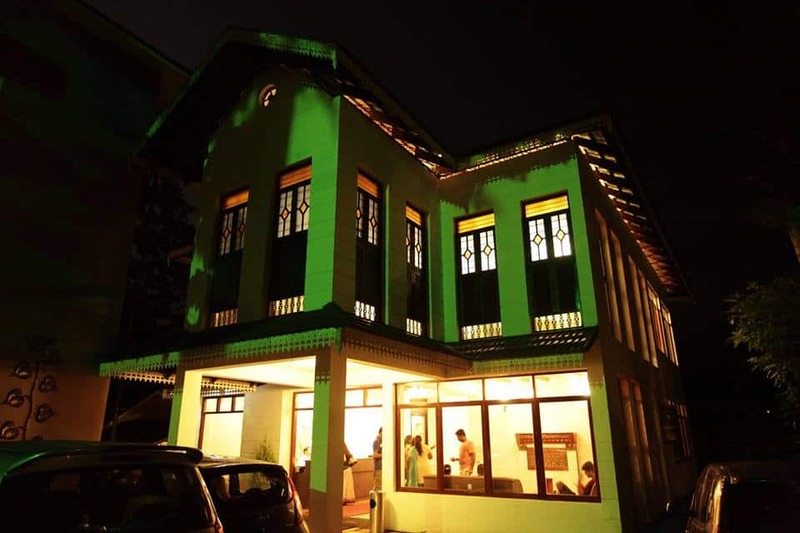 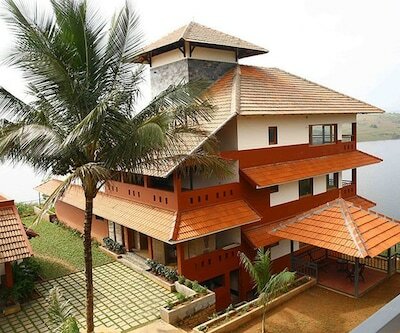 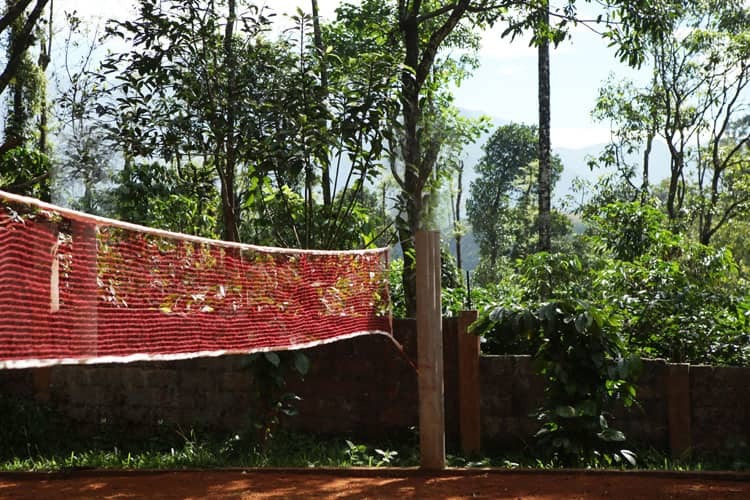 The resort is located at a distance of 62 km from Calicut railway station and 79 km from the Calicut airport. 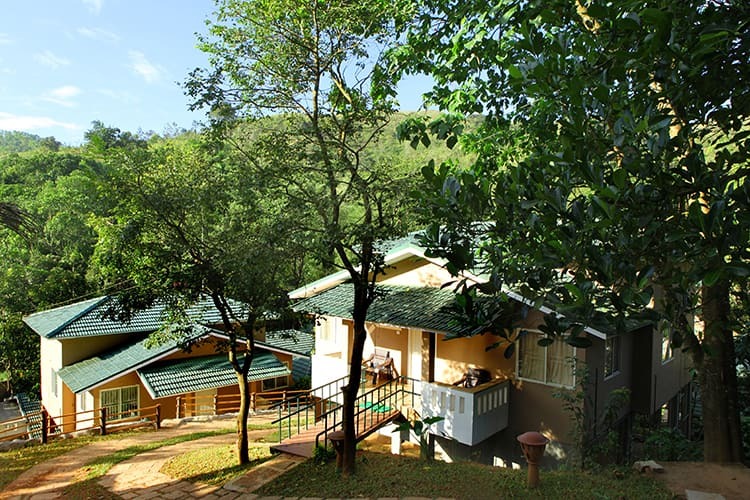 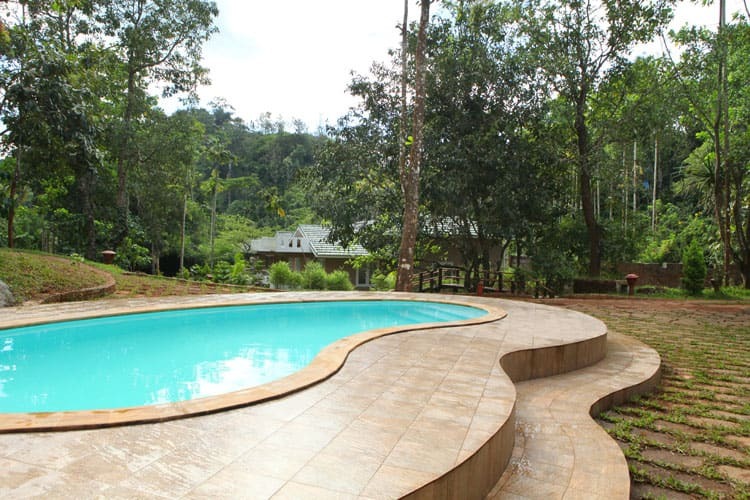 The Chain tree and Pookode Lake are at a distance of 2 km from the resort and Lakkidi view point is 3 km from the property. 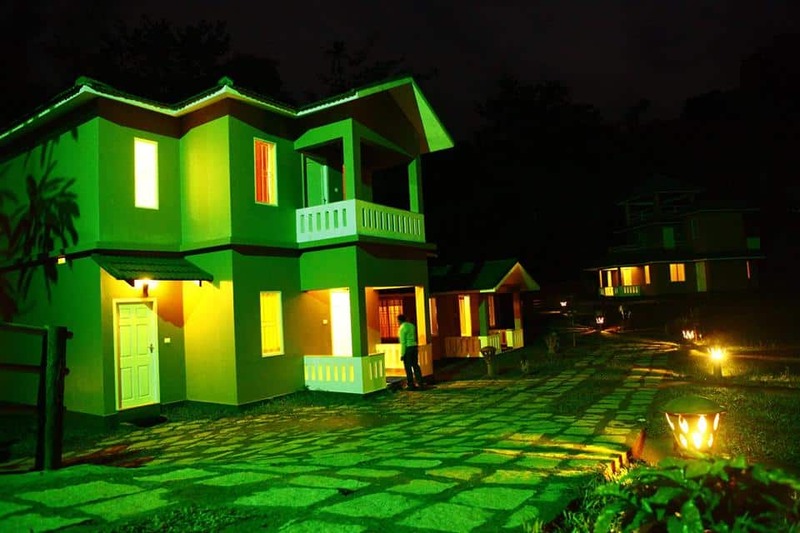 Book now and enjoy world class services at Lakkidi Village Resort.